Salutations! My name is Zaru, and welcome to the casting call! 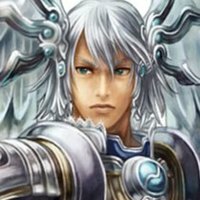 So, while the many things with the Xenoblade anime is going on, I figured that, as a side project, I'd like to do a fandub of the cutscenes of Xenoblade Chronicles. This will be covering every story cutscene of the game (with voice acting), so that's like, 11 hours or so. Needless to say, this will be a big project. If I missed any characters, please let me know. 1. You must have at least decent mic quality. If there is a little bit of fuzz in the background, that is alright. But the better your sound quality is...the better your sound quality is. Basically, we want the cleanest quality that we can get, but if your microphone isn't the best, then that is totally okay! 2. YOU MUST BE ABLE TO WORK WELL WITH OTHERS!! That means no insulting, hurting, or threatening others is allowed or tolerated! (If we catch you doing any of those, you will IMMEDIATELY be removed, and we will recast your character(s). 3. Feel free to audition for as many characters as you wish. 4. While it is not required, it is recommended for you to have Skype and/or Discord. We have plans on making a Skype/Discord group for those who join, so we can (a) get to know each other better, and (b) so we can work smoother. 6. Emotion. Several of the characters will be portraying multiple emotions throughout the series, so try to hit those emotions as well as you can. 7. You must stick to your character. Since this series will be a bit long, we'll need you to be determined to stick to your character. That way we don't have to recast every couple episodes. 8. 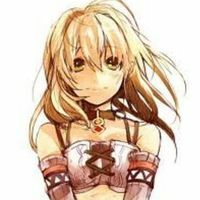 We will be casting two people per character: One as the actual voice actor, and the other as a "backup", in case the first one is unable to pull through in time. 9. Please send your parts in on time. We've had trouble in the past with people not delivering parts in time. Please don't be one of them. 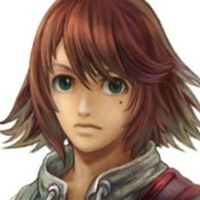 Shulk (Japanese: シュルク, Shuruku; English dub: /ˈʃʊlk/) is the main protagonist of Xenoblade Chronicles. He is about 18 years of age, and is obsessed with machines. can just get it off, I should be able to—"
we wish for is... A world with no Gods!" 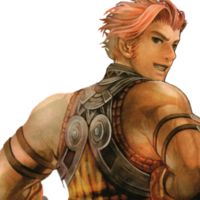 Reyn (Japanese: ライン, Rain, Rein; English dub: /ˈraɪn/) is Shulk's best friend, and is a soldier in the Colony 9 Defense Force. 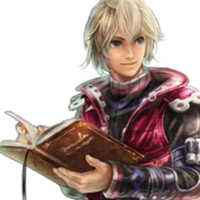 He is a bit clumsy, but he is always there for Shulk. "Watch out! Mad hairball on the loose!" is too shy to admit them. "It is not only you that has the right. and the older sister of Juju. She is kind, but she can be firm at time. "Let's get this over with!" "All right. Let's sort this out nice and quickly!" very composed, and very rarely shows grief. 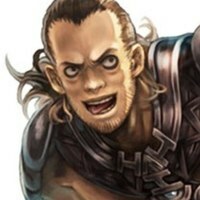 "Born in a world of strife! Against the odds, we choose to fight! Blossom Dance!" "For a bunch of soulless machines, they seem to know a thing or two. But we'll see." innocent, and adds a spark of humor to the party. rarely share her true feelings for others. "Star searing flames of absolution!" "What trials await me, I wonder? I must not lose focus!" Colony 9 Defense Force, and is extremely stern with his men. "You owe me one MILLION pushups! And don't stop until your biceps EXPLODE!" "Get a move on, maggots!" think things through before acting. "How can you be so heartless!? Are you that scared of the Mechon?" "Come on! Let's rebuild Colony 6!" 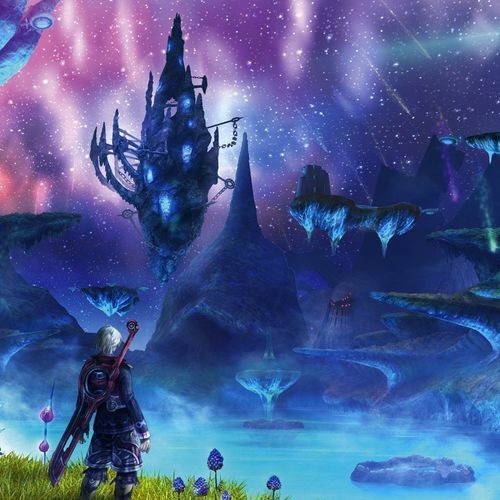 reason is unknown (unless you've beaten the game). 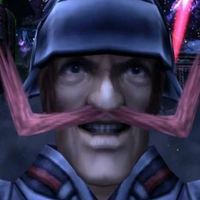 "The Monado is a divine sword capable of disturbing the very fabric of existence. Of both the material and the immaterial." "This is your limit...for now, at least." 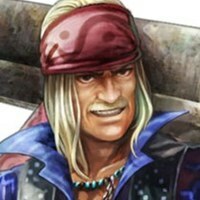 Dickson (Japanese: ディクソン, Dikuson, Dikson; English dub: /ˈdɪksən/) is one of Dunban's best friends, and he raised and mentored Shulk. He is rather cocky, but is a schemer as well. "Let's do this. I'm going with you! You'll need someone to drag your corpse home." "Tsk. You just don't know when to quit." 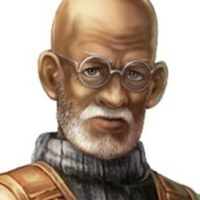 is one of Dunban's best friends who fought the Mechon at Sword Valley. "Do you know how long I've waited for this moment?" "Take one more step, and I'll mess up her hair!" "It won't be long now, my friends. 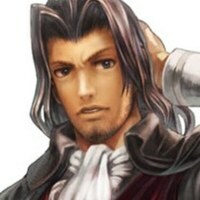 But not before... Gadolt! This is for you! This is for the people of Colony 6!" "They may look different, but they all want the same thing as us." 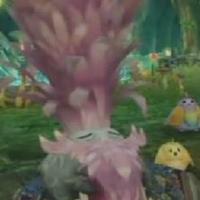 Chief Dunga (English dub: /ˈdʌŋɡə/) is the chief of the Nopon, and is seen as the Seer of the Nopon people who live in Frontier Village. 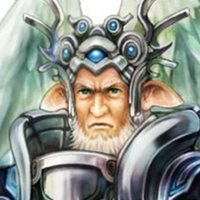 is the Emperor of the High Entia, and the father of Melia and Kallian. He is kind and wise, and he loves his children and people deeply. "I find it difficult to suppress these feelings of pride for you, my kin." "I will stop this here and now!" 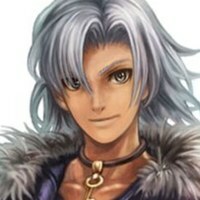 one of the first of the High Entia who agree to help. "You will make a fine Empress. There is no one more suited to leading our people." 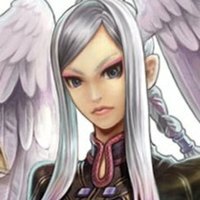 Lorithia (Japanese: ロウラン, Rouran, Laulan; English dub: /ˌlɒrᵻˈθiːə/) is the Leader of the High Entia's Ministry of Research. She is clever and cunning. "Aww, is that it? I thought you had more than that." "Forgive me, First Consort. 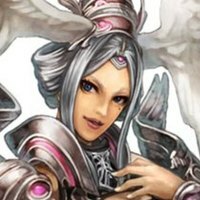 I, Tyrea, vow to see your orders fulfilled." "Oh, your stupidity bores me. Enough of your drivel." "If she could pass, then it would prove that she is, indeed, worthy of the throne." 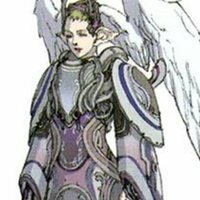 Miqol (English dub: /ˈmɪkɒl/) is the leader of the Machina, and the father of Egil and Vanea. "I get a kick out of seeing people's faces every time!" "I want you to kill him." 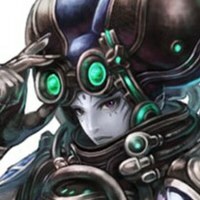 mastermind behind the invasion of Bionis. 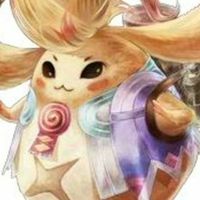 He is a very strong character. original form. This is my duty. Nay, the will of the world!" "Why? WHY WON'T YOU CRUMBLE BENEATH MY FIST!?" 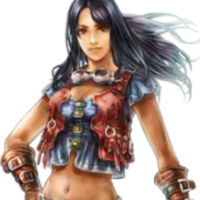 Linada (English dub: /liˈnɑːdə/) s the doctor of the Machina people, and she lives in Junks. She is very devoted to her work. "Your surprise is understandable. We are teh Machina. 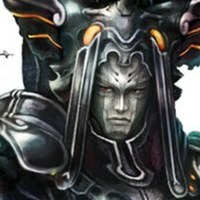 The people of Mechonis." "If you give me enough time, I will be able to help you much more." 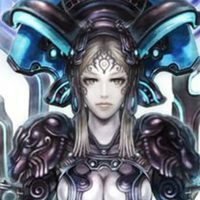 Vanea (English dub: /vəˈneɪə/) is Egil's sister, and the daughter of Miqol. She is very kind, and cares about her brother deeply. 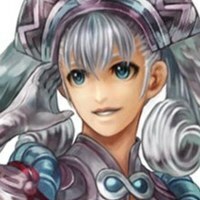 Lady Meyneth (Japanese: メイナス, Meinasu, Maynus; English dub: /ˈmeɪnɛθ/) is the soul of the Mechonis. 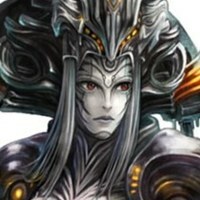 She is very kind, and loves both the peoples of Mechonis and Bionis alike. "They are living beings! If you cannot accept this...you have no right to call yourself a god!" finally understand. The futures of our children belong to them alone. 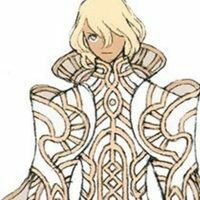 Zanza (Japanese: ザンザ; English dub: /ˈzænzə/) is the soul of the Bionis, and the creator of the Monado. He is very cocky and arrogant. "I am a GOD!! ALL THAT IS and shall be!! YOU are NOTHING!!" "Something wrong? Is this the height of your skill? You call yourself a GOD!? And you talk of sharing this world with ME!?" 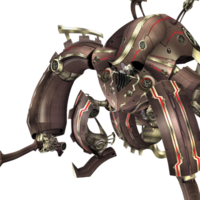 Xord (English dub: /ˈzɔːrd/) is a Mechon that Shulk and Co. meet in the Ether Mines. He is a powerful, albeit hungry individual. "I'm Xord, your host tonight! 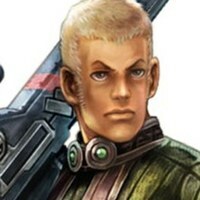 Gadolt (Japanese: ガド, Gado, Gud; English dub: /ˈɡædoʊ/ with silent lt) is the fiancé of Sharla, and a Colonel in the Colony 6 Defense Force. He is a bold, couragous man, but has a rather quick temper. "I'll be fine. I'll be able to keep my mind on the battle knowing you're safe." 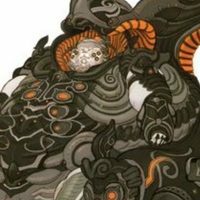 "Wither and die, as all life on Bionis will! Feel our wrath!"